There’s a lot of talk about skin cancer these days. As a result, everyone seems to be afraid of the sun. This is unfortunate, as the sun is great for your health if you manage it well. But skin cancer is a real problem. 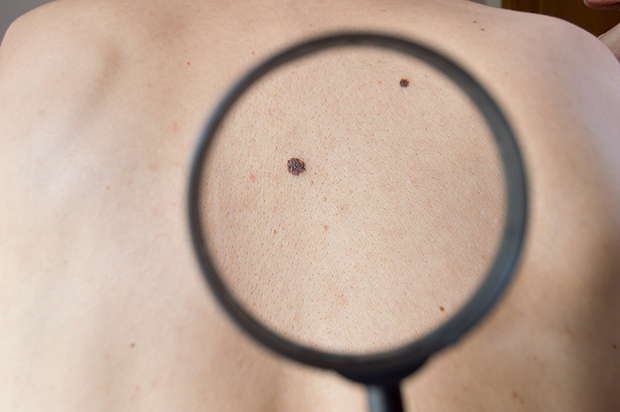 While melanoma is the really “scary” skin cancer, as it can be life-threatening, most skin cancers are basal cell or squamous cell skin cancers. And there’s an easy way to eliminate these cancers, along with moles and other blemishes. Let me tell you about Daniel and how he got rid of a squamous cell cancer. I talked to Daniel about two years ago. It was obvious what the problem was – he had a dark, ugly looking tumor growing on his jaw. I told him it looked like a squamous cell tumor and asked if he had seen a dermatologist. Daniel had just come from the dermatologist, who confirmed what I suspected. So I asked Daniel what he was going to do about it. He wasn’t sure. The dermatologist wanted to cut out a substantial portion of his jaw. But even in doing that, she couldn’t guarantee that she would get rid of the tumor. Needless to say, that was not the solution he wanted to hear. But he didn’t know what else he could do. I could see why the dermatologist wanted to do so much surgery. The tumor was fairly large and looked like it went deep. If he had the surgery, it would require considerable reconstructive surgery after that – and plenty of pain to go along with it. Daniel was scared. I could tell he wasn’t ready for surgery, but he was at a loss for options. Black salve is usually made from bloodroot (Sanguinaria canadensis). This is a beautiful perennial, herbaceous flowering plant that’s native to eastern North America. You can turn bloodroot into a paste, along with zinc chloride and other herbs (depending on what the company that makes it wants to include). Native Americans discovered bloodroot and used it to treat cancers of various kinds. They also used it to treat other medical issues. Today we know bloodroot is a fabulous medical treatment. It can help a variety of ailments, including asthma, bronchitis, laryngitis, croup, deficient capillary circulation, pharyngitis, rheumatism, nasal polyps, cancer, warts, fever and tooth pain. Another dental use includes brushing with it to remove plaque. According to WebMD, “Some people apply bloodroot directly to the skin around wounds to remove dead tissue and promote healing. During the mid-1800s, bloodroot extracts were applied to the skin as part of the Fell Technique for treatment of breast tumors.” Later, in the 18th century, medical doctors in Europe and America found bloodroot to be particularly effective on skin cancers. However, it wasn’t called the Fell Technique for another 100 years. Dr. Jesse Weldon Fell was a U.S. physician who was a faculty member of New York University and was also one of the founders of the New York Academy of Medicine. 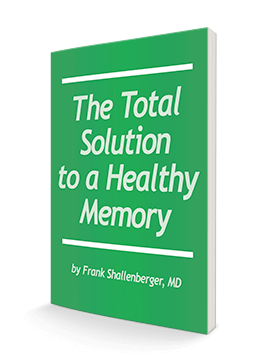 In the 1960s, he published extensive work showing the strong anti-tumor action of bloodroot. Back in the 1980s and 1990s, you could buy a product from the Bahamas called HerbVeil 8. It contained bloodroot, zinc chloride, chaparral, cayenne, red clover, burdock root, birch bark, and Irish moss. It came in a 5 gram container that cost about $27. This small container would last for years and treat numerous cancers and moles. But here’s what’s truly amazing about bloodroot. I’ve talked to several doctors who have used bloodroot for years. Not one of them has ever seen it fail to dissolve a squamous cell or basal cell tumor. I’ve used it on my own skin for moles – and it works wonderfully. The people I know who have used it swear by it. They love how effective it is. One thing that keeps bloodroot from really catching on is the medical literature. The results in studies have been mixed. Some studies show it works extremely well and some didn’t find that it works at all. It’s possible the ones that didn’t show any effectiveness had more to do with the product they used and how it was manufactured. Some products are better than others. So I’m very careful to use products that other doctors use and ones that I’ve seen work. The quality of herbs and herbal extracts can vary enormously. Unfortunately for Daniel, I didn’t have any HerbVeil 8, and it’s no longer available. So I told him about Cansema. He purchased some and began to work with an MD to treat the cancer. He used eight treatments in total and found that it worked incredibly well. He went back to his dermatologist and had another biopsy. The skin cancer was completely gone. His dermatologist and his MD were thrilled. So was I. There was only a slight scar on his jaw, which is one issue with bloodroot. It can scar. While scars are better than tumors, there’s a simple way to reduce the scarring. Before I tell you about it, let me explain something about bloodroot. Is this possible? Yes, the video shows you how strong black salve can be. That’s why you have to be very careful with its use. Don’t go hog-wild with it. Use it judiciously. And don’t use it on your nose or around your eyes. Many of the pictures shown in the video look like they used a large amount of black salve. Don’t do this. I don’t recommend using more than a small drop of the paste – about the size of a BB (or smaller) – if you’re using it at home. This amount should cover most moles, warts, and skin tags. In most cases, your body will heal the wound, and there are products you can use to help reduce the scarring. One is vitamin E oil. Another is Best of Earth Products’ After Care Cream, which really helps reduce scarring. Best of Earth Products has a Black Salve product that works very well on warts, moles, and other blemishes. This is what I used to remove two moles and it worked incredibly well. They also have one with DMSO for deep penetration. Be careful using the DMSO version, as it can go deep. Work with an MD if you choose to use it. Make sure you follow the directions carefully. Because bloodroot products completely kill the cancer cells, they can discolor the tissue where the cancer was. This obviously might be a problem with a facial cancer. So make sure you use an after-care product to help it heal properly. I can’t guarantee bloodroot will work for you. The literature suggests that it doesn’t always work. But I’ve never seen a case where it didn’t. And your results may not be as amazing as Daniel’s. Every case is different. Obviously, the earlier you treat the cancer, the better your chances of seeing success. And the less black salve you’ll have to use. Surgery in many cases of skin cancer is required, particularly if the cancer is near your eyes or other sensitive areas. Surgery isn’t always a bad course of action, as it is quick and usually has minimal wound care. There’s also little chance of skin discoloration. But surgery can be disfiguring and dangerous. It’s very expensive. And no surgeon can guarantee they “got it all.” While the gross video I quoted earlier has a point, they failed to show how bad some surgeries can be. Using black salve on small warts, moles, skin tags, and other blemishes can work extremely well if you follow the directions and use a very small amount. When using it to treat cancer, work with a doctor to make sure it’s done properly and safely. Black salve is usually inexpensive, ranging from $25-75 per bottle. The bottle will last a long time. So it’s worth the price. If you have a basal cell or squamous cell skin cancer that’s not on your nose or close to your eye and you want to give the salve a try, talk to your doctor about trying it. You can get the Cansema at www.herbhealers.com (I’ve also seen it sold as Amazon Black Salve) or by calling 305-851-2308. This company is very helpful, and can guide you through the process. You can find Best of Earth Products by visiting their website at https://bestonearthproducts.com/. J.W. Fell, “DR. Fell's treatment of cancer,” The Lancet, vol. 70, no. 1785, p. 507, 1857.